This week, a group of eight emerging Arab authors gathered in Sharjah to take part in the International Prize for Arabic Fiction’s annual Nadwa. The workshop, which ran from 8th to 15th January, brought together writers from Iraq, Kuwait, Morocco, Oman, Palestine, Syria and the UAE. The workshop was sponsored by the Department of Culture — Sharjah Government and took place at the Marbella Resort. Sharjah, which has a growing publishing industry and has become a hub in the UAE for book events and organisations, was recently named World Book Capital for the year 2019 by UNESCO for its ongoing efforts to promote books and literacy. The International Prize for Arabic Fiction is an annual literary prize for prose fiction in Arabic. 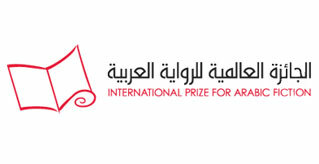 It is sponsored by the Department of Culture and Tourism – Abu Dhabi (DCT Abu Dhabi) and run with the support, as its mentor, of the Booker Prize Foundation in London. This year’s Nadwa was led by two mentors including acclaimed writer of Arabic literature: Iman Humaydan, Lebanese novelist, researcher, and President of PEN Lebanon; and Muhsin Al-Ramli, twice IPAF longlisted Iraqi-Spanish writer, poet and academic. This week the English translation by Luke Leafgren of Al-Ramli’s novel, The President’s Gardens, won the 2018 Saif Ghobash Banipal Prize for Arabic Literary Translation. The eight participating writers range in age from 25 to 48 years old and were identified by IPAF as emerging talents, following an application process. The workshop, which aims to hone their writing skills, involved daily group discussions as well as the opportunity for one-on-one guidance with mentors. The group also attended the 17th Sharjah Arabic Poetry Festival where they met His Highness Sheikh Dr. Sultan bin Mohamed Al Qasimi, Supreme Council Member and Ruler of Sharjah. The annual workshop has nurtured a number of writers who have gone on to be longlisted, shortlisted and also win the International Prize for Arabic Fiction. These include Mohammed Hasan Alwan, Mansoura Ez Eldin, Mohammed Rabie, Ahmed Saadawi, and Shahla Ujayli, who is one of this year’s longlisted authors. Last week the longlist for the 12th prize was announced and includes 16 novels selected by the judges from 134 entries, all published in Arabic between July 2017 and June 2018. The full 2019 longlist, listed in alphabetical order by author surname, isWomen Without Trace by Mohammed Abi Samra, Voyage of the Cranes in the Cities of Agate by Omaima Abdullah Al-Khamis, The Night Mail by Hoda Barakat, Women of the Five Senses by Jalal Bargas, The Commandments by Adel Esmat, Mohammed's Brothers by Maysalun Hadi, Black Foam by Huji Jaber, The Outcast by Inaam Kachachi, May — The Nights of Isis Copia by Waciny Laredj, What Sin Caused her to Die? by Mohammed Al-Maazuz, I Killed My Mother in Order to Live by May Menassa, Western Mediterranean by Mbarek Rabi, Me and Haim by Habib Sayah, Summer with the Enemy by Shahla Ujayli, The Mexican Wife by Iman Yehia and Cold White Sun by Kafa Al-Zou’bi. The shortlist will be announced on 5 February 2019.